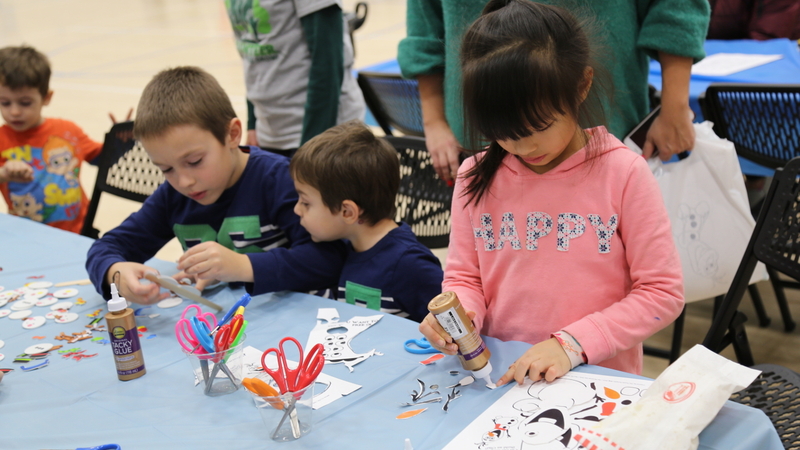 Palatine Park District invites families to enjoy an evening of frozen and frosty fun activities offered indoors at Birchwood Recreation Center, 435 W. Illinois Avenue, Palatine. Frosty Family Fun will feature many winter-themed games, crafts, and unlimited hot chocolate and treats on Friday, January 18 from 6:30pm-8:00pm. This affordable event is an opportunity to enjoy traditional winter activities in the comfort of the indoors. The evening will include a variety of wintry crafts and games, and the fifth annual indoor snowman building contest. This year’s event is sponsored by Grade Power Learning of Palatine. Register for Frosty Family Fun online. The fee is $5.00 per child for the full evening and $1.00 for adults. All children must be accompanied by an adult for this event. Regardless of age, everyone, including adults, attending this event must be registered. Registration can also be completed in person at Community Center, Birchwood Recreation Center, or Falcon Park Recreation Center. For more information about Frosty Family Fun, contact Special Interest Coordinator Lisa Schroeder at 847.496.6347 or lschroeder@palatineparks.org.